Tornadoes, also called twisters, have terrified people throughout history. Tornado winds are the strongest on Earth and can reach speeds of 300 miles or 500 kilometers per hour. 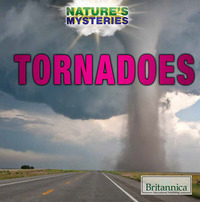 In this captivating volume, students learn how, where, and when tornadoes are likely to form, and the damage they can inflict. They discover the variety of tools that scientists use to measure and predict tornadoes, and the essential role of storm spotters. This resource also explains to readers how to stay safe before, during, and after a twister hits. Special sidebars define key vocabulary words or pose questions to spur critical thinking.